Love me a good story where almost everyone dies early on. Virginia Bergin has found a particularly brilliant way to off her characters – the killer is nothing less innocuous than water. Specifically, rain. At the start of this YA novel, teenager Ruby has just kissed the boy of her dreams, Casper, in the hot tub at the party of a mutual friend who lives on a Devon farm. No sooner has she begun to recover from that than their friend’s parents are dragging them out of the hot tub. Not because they’re getting up to something they shouldn’t, but because the radio and TV have just gone haywire with warnings to get inside and stay there. It’s about to rain, and the rain is filled with a killer bacteria that causes immediate cell breakdown. Bleeding from all orifices, etc, etc. There is no cure. Of course rain doesn’t stay in the sky, nor on the ground. It’s soon in the pipes too. By the time anyone works that out, Ruby is pretty much alone. And she’s not good on her own. 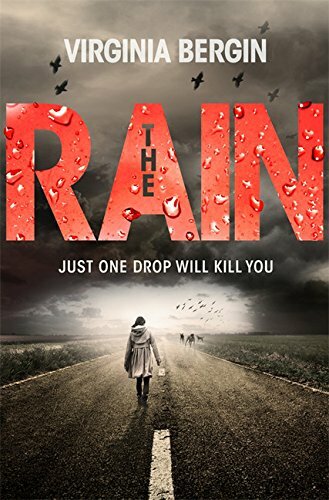 Scared, thirsty (desperately thirsty), she has to adapt to a life where pretty much everyone she knew is now dead – and where some of those who have survived are the last people she would want to share the post-apocalypse with. I beetled through this book. Bergin’s version of the end of the world is not completely unfamiliar, but it’s strung together with a plotline that focuses on chasing the most basic of human needs – something to drink. This drags Ruby into plenty of dark scenes, as the bottled water runs out and that jar of old sauce won’t quench the thirst of everyone who tries to grab it. There’s one particularly horrific scene where people swarm on a public swimming pool. Bergin well understands that no matter how bad things could get, there will always be people around who make it worse. If the novel has a weakness it’s unfortunately Ruby, who is given a somewhat forced character arc that involves her being rather unpleasantly obnoxious for a good stretch of the second half. I felt a bit alienated by her then, but it all comes good in the end – enough for me to want to check out the second book, anyway. Daisy has been sent away from the impossibly high standards of New York City to stay with her rustic relatives in rural England. Here, her father hopes, Daisy will ‘get over’ her eating disorder. Or at least, as her stepmother hopes, not be such a burden on a family unit that has Daisy’s spoilt stepbrother very much at its heart rather than Daisy. Sure, the media is full of images and stories of terrorist attacks here, atrocities there, British military action all over the place, but when was it any different? So Daisy doesn’t pay much attention to any of that – even more so when she meets her cousin Edmond. They’re not even sure whether it’s okay for cousins to fall for each other in the way Daisy and Edmond do, but it’s not as if they choose to. Then there’s a massive attack in London. Daisy’s civil servant aunt leaves them alone to head into Europe on a diplomatic mission. The British military ships out. And in the English countryside Daisy and her relatives are given an official warning to stay inside their remote cottage because of a smallpox epidemic. But there is no smallpox. The country has been invaded. 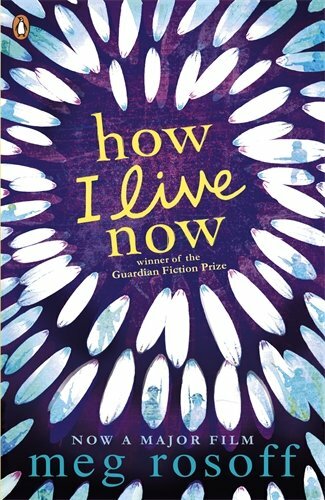 How I Live Now is from start to end a visceral novel – a visceral love story followed by a visceral trek behind enemy lines in a near-abandoned corner of Britain. Most of the war (if there is indeed a war being fought) happens off the page. Daisy’s experience of it is to see what’s left after the killing has already been completed. Her war is one of ruins and separation, and rumour and propaganda. Driven by fear and a need to protect Edmond’s young sister, Piper, she feels her way through the plot. There isn’t time to think. And when she does, her mind is usually elsewhere anyway. It’s a short novel, despite being eventful, and sometimes I felt that it would have felt more immediate had Daisy been narrating it in the present tense, rather than commenting on it from the safety of a future we know she gets to see, even if not everybody else does. I had actually seen the film version of this one before reading it, so I remembered what would happen. I also remembered several rather bleak scenes (that reminded me of the bleaker parts of The Road) that aren’t in the novel at all. Not entirely sure they added much except extra trauma. It’s Jack’s fifth birthday, which he will celebrate with his friends, Rug, Meltedy Spoon, Remote and TV. And his Ma, of course. She lets Jack watch plenty of TV today. TV always has plenty of interesting things to show Jack – things happening on planets other than Room. Room isn’t a planet, of course, it’s just a room. A soundproofed room with an unassailable deadlock. 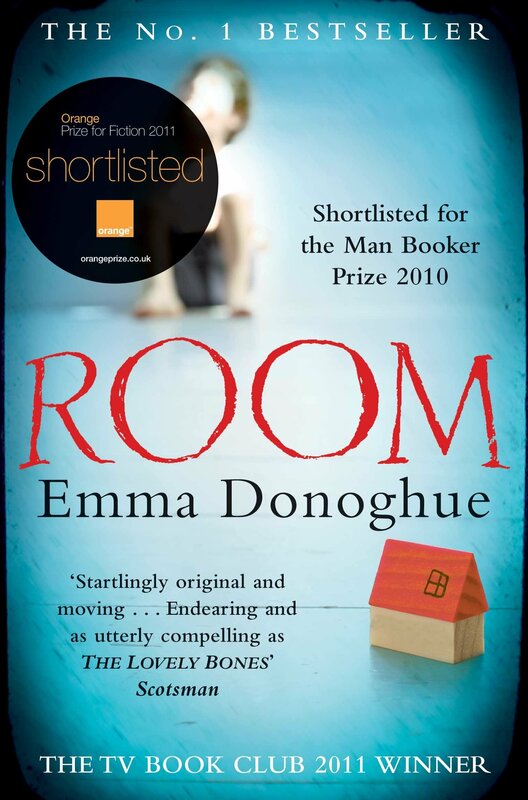 To Jack this is indeed an entire world (the only one he has ever known), but to his mother, kidnapped and imprisoned many years before whilst still a student, she remembers there is more to life than this. But she decides to keep the truth from Jack because he might never need to know. She fears they might never escape from the man who comes to ‘creak the bed’, as Jack thinks of it, the man she despises in every way but one – that he gave her Jack. Sometimes Ma just needs to be Gone for a while. Jack doesn’t really mind. An innately social creature, he has made friends out of everything. Brought up with an understanding of his surroundings confused and muddled by the blurred lines in cartoons on television (where a rug might indeed talk back), he might never be able to cope in the real world. But he’s going to find out. Jack’s innocent but unintentionally bizarre observations make this a surprisingly funny novel, given its plotline. At times he comes across as a bit of a faux naïf, casting a light on the ignored oddness in the way we live our lives, but with no greater point to make. At other times – and in one sucker-punching scene (which finally revealed something that may not have gone over this reader’s head had I been a woman, it did occur to me) in particular – his obliviousness to strange things that of course don’t seem strange to him highlights the consequences and dangers of social isolation. His concept of the world is entirely skewed through the dearth of human contact, with nobody to challenge, question or correct his assumptions, even only by observation on his part. Some plot points stretch credulity a little far, but they are just minor, fleeting and forgivable contrivances to give Jack’s story a spine. The novel belongs to him, far more so than his mother. She may be a victim, but Jack is not. And that is entirely down to the lies she’s told him to protect him.